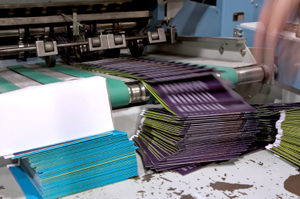 Full-color printed documents deliver your message with maximum visual impact and appeal. As Phoenix and Scottsdale’s full-color printing experts, we will produce your job on time, on budget, and at highest quality. From business cards to multipage brochures, our clarity and production values confer distinction to all of your print collateral. It’s the details of our color printing process that set us apart. We use the most advanced technology and the finest stock. We can also advise you on color matching and palette coordination, as well as options for color printing enhancements with special inks, shapes, and more.